On Thursday, Florida Atlantic University released a poll that gives an edge to Gov. 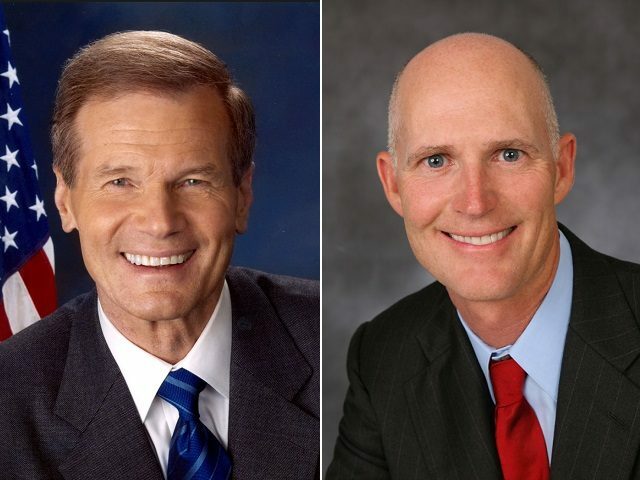 Rick Scott (R-FL) over incumbent Sen. Bill Nelson (D-FL) in the Sunshine State’s U.S. Senate race. The latest polling has been mixed with both candidates shown having single-digits leads in the surveys conducted going back to late May. However, the average of the polls tabulated by Real Clear Politics has Scott up by just under a percentage point. The FAU BEPI poll surveyed 800 Florida registered voters on July 20-21 via an automated telephone platform and has a margin of error of +/- 3.4 percent.